Beyond Boundaries is an equine-assisted therapy center that provides skilled therapy services to children and adults with disabilities. Founded in 2003, and receiving 501-3c status in 2004, Beyond Boundaries was conceived by a group of therapists and other individuals who identified the need for a dedicated equine-assisted therapy center to offer unduplicated services for individuals with disabilities in the rural areas of central Arkansas. Beyond Boundaries employees licensed speech, occupational, and physical therapists that provide specialized services to children and adults with disabilities. 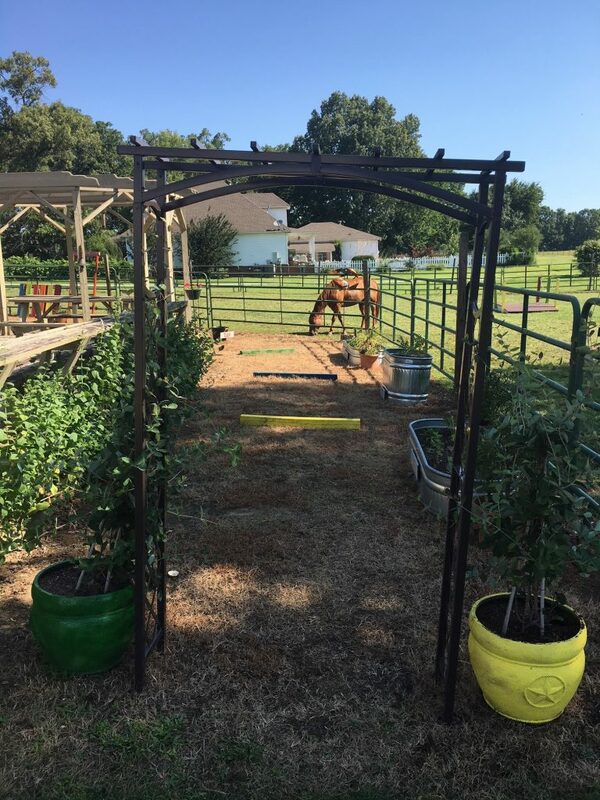 Beyond Boundaries is located on a beautiful piece of land in central Arkansas and is currently home to a herd of horses trained specifically for use in therapy sessions. The unique setting and atmosphere that Beyond Boundaries fosters promote interaction with and awareness of the outdoor environment. In order to expand its therapeutic offerings, add to the beauty of the natural setting, and to develop a safe place for outdoor exploration, Beyond Boundaries is currently working to design and develop a Sensory Garden. A Sensory Garden is a garden environment specifically designed and planted to stimulate all five senses: sight, touch, taste, smell, and sound. The purpose of the Sensory Garden is to provide a natural environment for these individuals to therapeutically interact with nature in a way that promotes stimulation of all five senses. These types of gardens are especially beneficial to individuals who have sensory processing issues, although people of all ages and abilities will be able to enjoy the garden and its benefits. Four distinct garden beds have been specifically designed to target the senses of sight, taste, touch, and smell. Garden elements including wind chimes and a water feature will be added to incorporate the sense of sound into the garden environment. Brightly colored flowers such as zinnias and pansies will be used to stimulate sight. The sense of smell will be stimulated with an assortment of fragrant herbs and flowers, including rosemary, mint, and roses. Garden visitors can explore their sense of taste by trying edible herbs, vegetables, and flowers. Various textures, including soft, smooth leaves, bumpy bark, and cool dirt will offer options for tactile input. The garden will be designed to allow individuals of all ability levels to access the various garden components. The walkways will be wide and level, and the raised garden beds will be designed at various heights to allow for full access by individuals who utilize wheelchairs for mobility. The Sensory Garden will provide a unique outdoor experience to these individuals – one that they can enjoy and participate in, not only by enjoying the sensory input but also by helping to care for the plants and garden. A Sensory Garden will be a wonderful addition to Beyond Boundaries and to the community of Ward, Arkansas, by providing an opportunity for children and adults of all ability levels to learn about their senses in a therapeutic and safe way while exploring the environment around them.